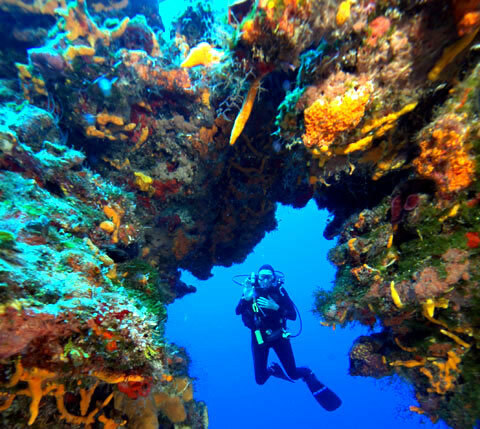 There are plenty of reasons why you should visit Cozumel for your Dive trip. You should visit this Mexican island if you want to scuba dive and enjoy clear blue waters. Located in the stunning Caribbean Sea, Cozumel is undeniably a travel haven. Cozumel dive shops are famous across the entire globe. This can be attributed to its beautiful waters, striking marine life and unique coral reefs. Cozumel is loaded with countless sea turtles, seahorses, nurse sharks and many other colorful fishes. With this being said, here are top five destinations for diving in Cozumel. These dive spots have plenty of Cozumel dive shops and instructors. Paradise Reef is one of the top Cozumel dive sites in the world. The beautiful reef is broken into three different reefs. Each of these reefs have a maximum depth of 45 feet. This is why Paradise Reef is identified as one of the most awesome destinations for diving and is a very popular reef for dive shops to use for a certification dive. 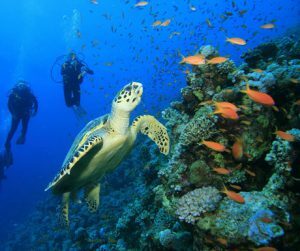 During the scuba dive, you may spot many great marine life species from octopuses, lobsters, toadfish, angelfish and even yellowtails. Paradise Reef is well known for its night dives. In case you dream of a night dive, Paradise Reef is your cup of tea. The list of dive sites in Cozumel will remain incomplete without “Palancar Reef”. The destination is located in Southwest Cozumel. The reef is broken into many segments that make it worth a visit. Palancar reef is also one of the best Cozumel Dive sites for divers that are still seeking to gain a bit more confidence in their dive skills. There is so much to explore in Palancar Reef as the reef stretches for three and a half miles. Palancar is also an ideal Dive site for photos as it has many purple and orange sponges and massive coral formations. Next in line would be Santa Rosa Wall. This is one of the region’s most famous diving spots with plenty to see during your dive. Accessing Santa Rosa Wall is extremely easy and interesting. The wall starts at 50ft down and continues to drop much much deeper off into the deep blue. Here you will come across tunnels and caves and plenty of great swim throughs. You will come across stony corals and sponges and can see Turtles and even the magnificent Eagle Rays on this Cozumel dive. Las Palmas Reef is quite closer to Paradise Reef. The place is known for rope sponge, tube sponges and brain corals. Once again, Las Palmas Reef is great for night dives. It is filled with sergeants, seahorses, batfish, honeycombed cowfish and plenty of divers. 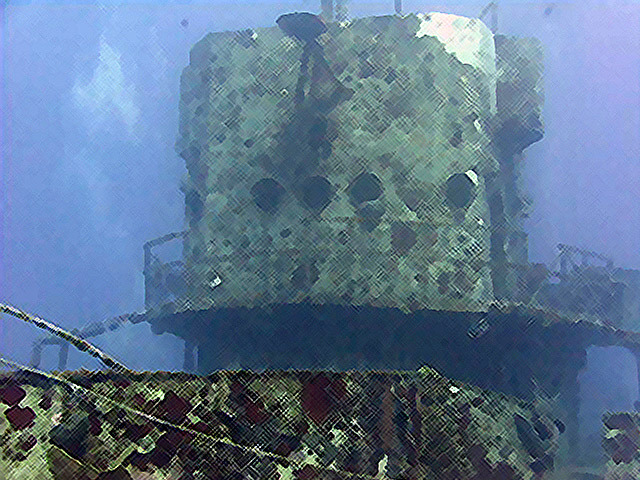 Barge Wreck plays an important role in the list of top five Cozumel dive sites. The wreck is located close to Vista Del Mar Hotel. It offers a new kind of adventure for everyone! The barge was sunk back in 1976 and is long since overgrown with plenty of marine life and makes for a great Cozumel dive site. The barge is 100ft long and 30ft wide and is sitting upright on the sea floor. When diving this site in Cozumel expect to see large green moray eels and plenty of large groupers. If you enter the dive from a ways off and swim to the barge there are some spots where you can even see some awesome toadfish. Well amigos there you have a list of some of our favorite Cozumel dive sites which we know will provide you with great Cozumel diving memories. Our trusted staff and Cozumel dive instructors will be glad to help you with your Cozumel dive trips. That being said we want to know what your favorite Cozumel dive sites are here on the island? Do you have any great Cozumel dive experiences that you would like to share? If so let us know we may even feature one of your stories here on the website and social media. In the meantime stay safe and we’ll see you on your next Cozumel dive trip! ← Ready for the High Season – Time to Dive in Cozumel!